If you have a Haitian passport, whatever you do, do not lose it because if you do, you will have to wait 3 to 6 months before you get a replacement. 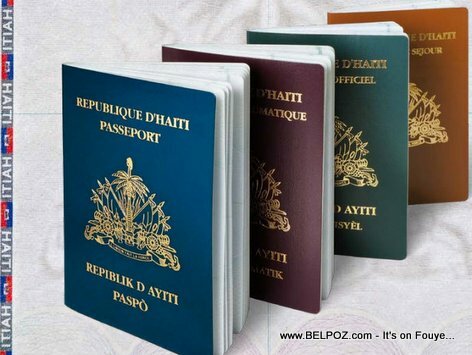 KREYOL: Haiti Passeport - Si ou pèdi paspò Haitien w la, w ap jiska 6 mois avan ou jwen yon lòt paspò, se sa direktè biwo immigration an fè konnen... Kisa ou panse de sa??? This is according to Jean Osselin Lambert, Interim Director of the Haiti Immigration and Emigration bureau. Have you ever lost your Haitian Passport? How long did it take for you get a replacement? « Can I Eat Mangoes if I have Diarrhea?